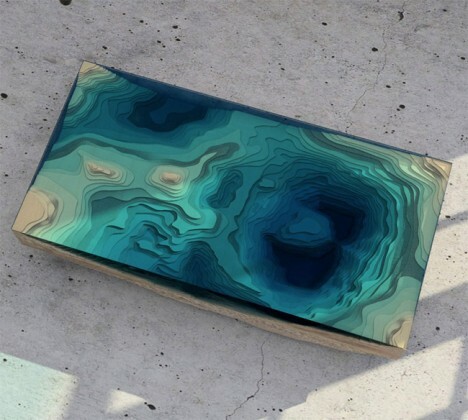 Noting that staggered layers of glass sheets produce the effect of gazing down into the sea, designer Christopher Duffy of Duffy London envisioned an oceanic topography that steps from shallow sandy seashore into a deep blue abyss. 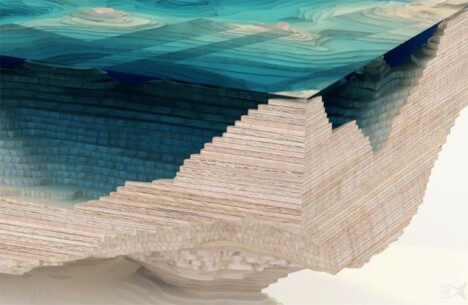 Duffy’s design team spent a year experimenting in their London studio with sculpted glass, Perspex and wood arranged in a 3D representation of a geological map. 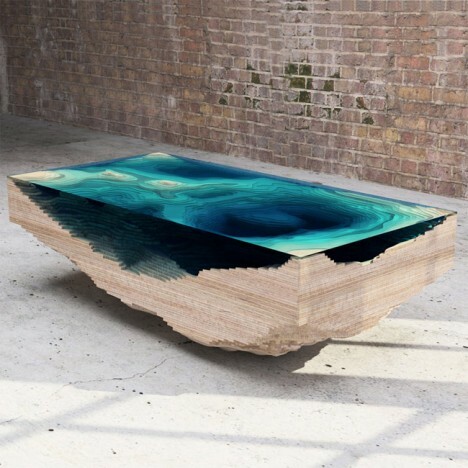 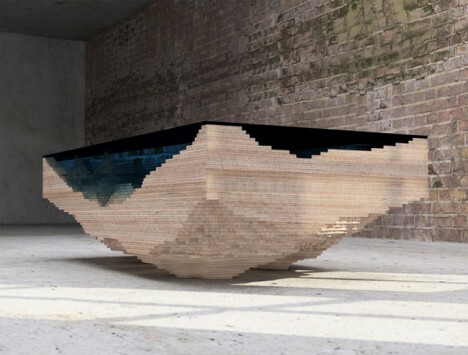 The outer edges of the wood are sculpted as well, making the table truly feel as if it were cut from the earth and miniaturized for the viewer’s pleasure.